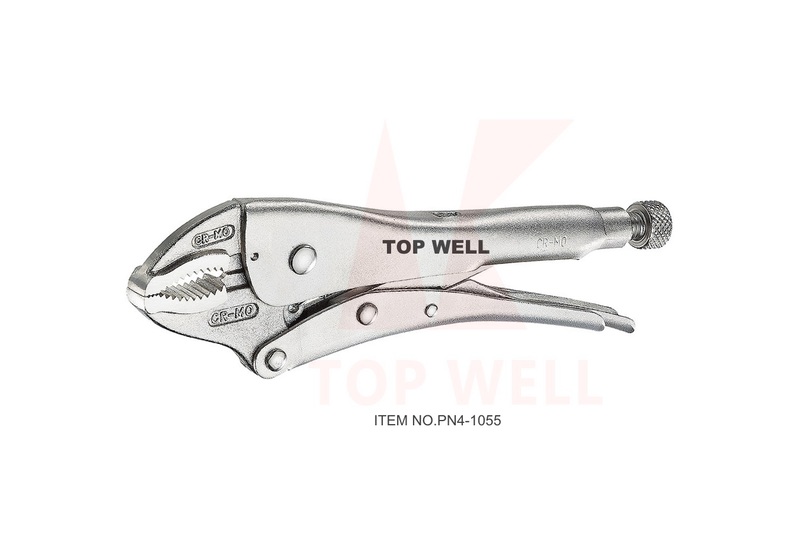 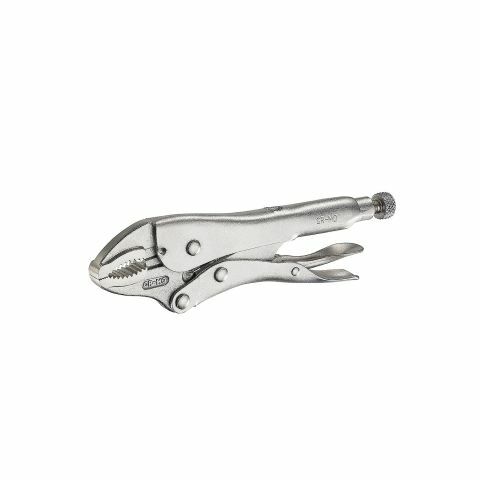 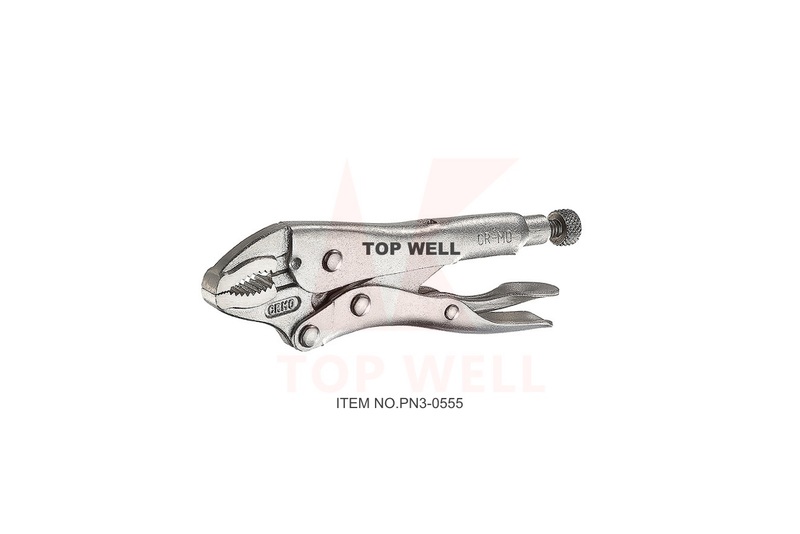 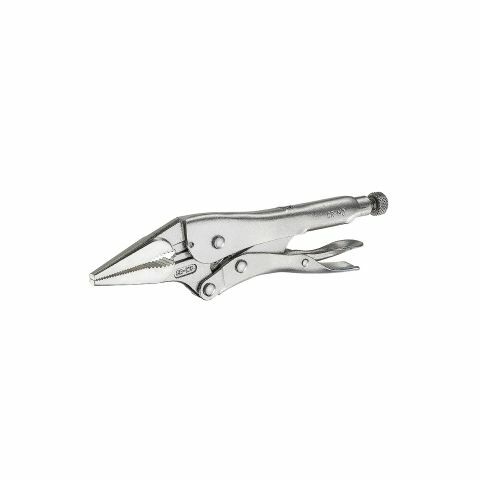 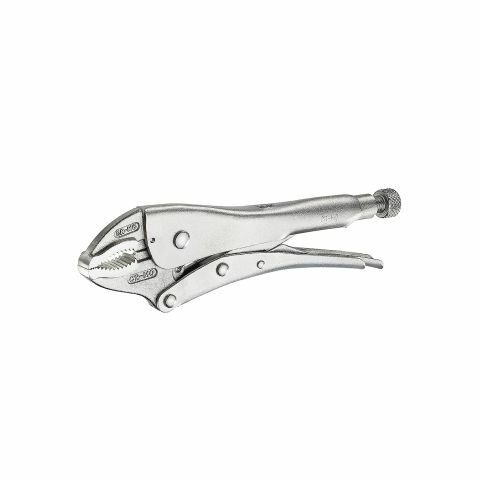 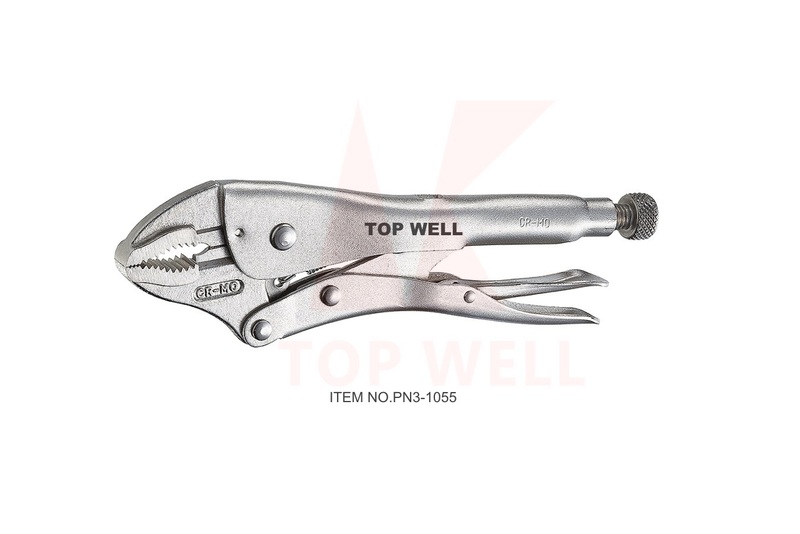 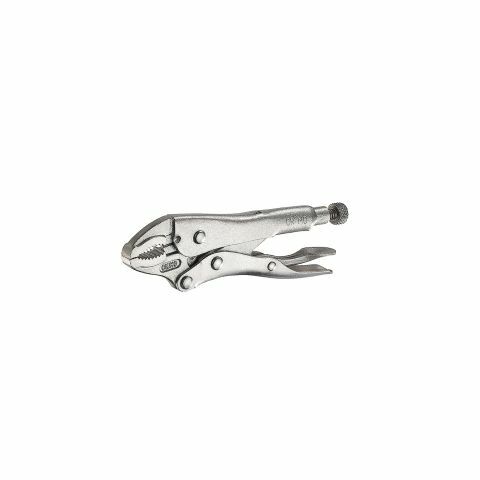 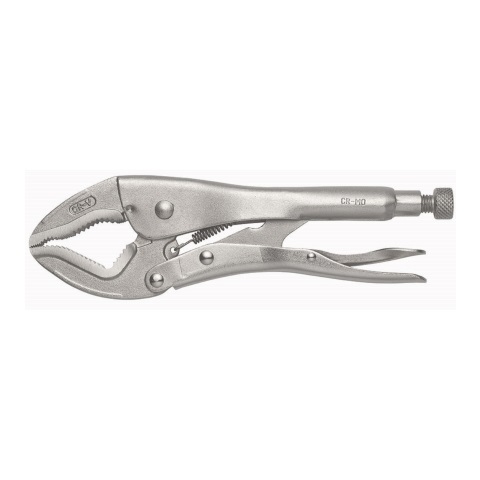 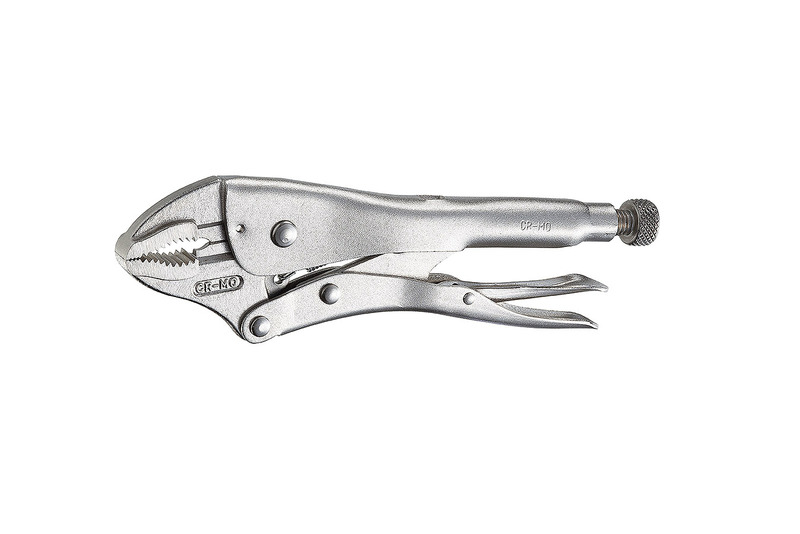 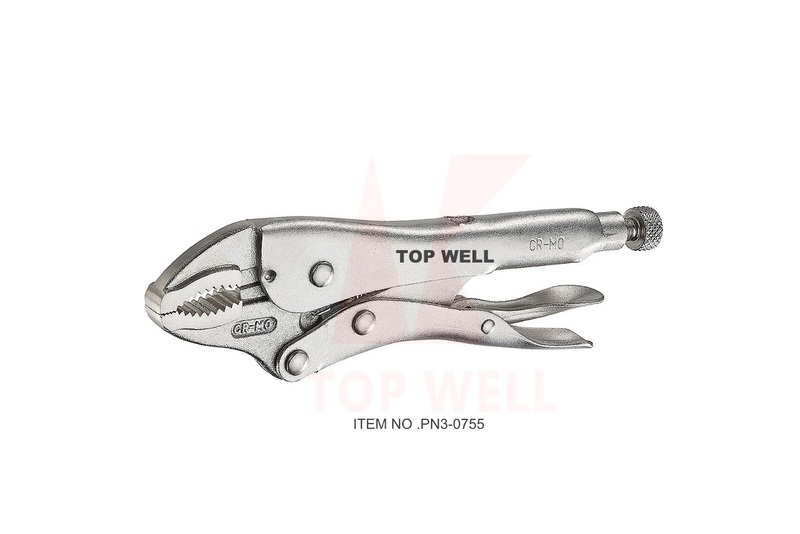 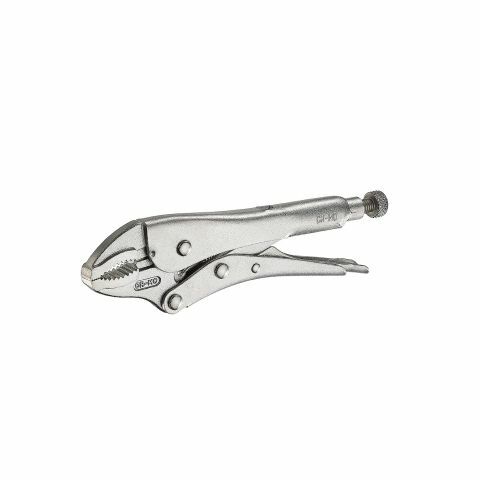 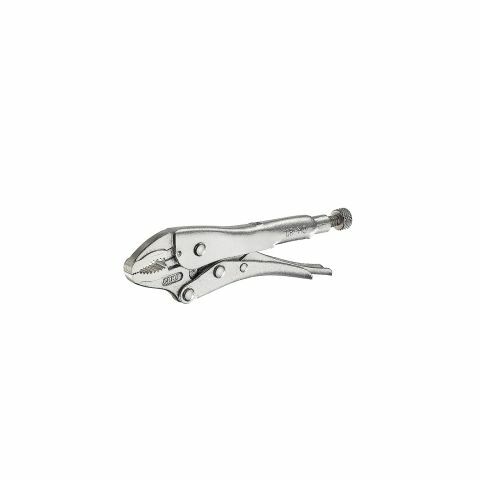 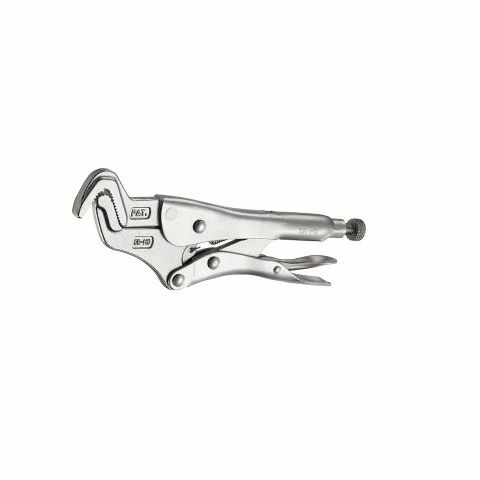 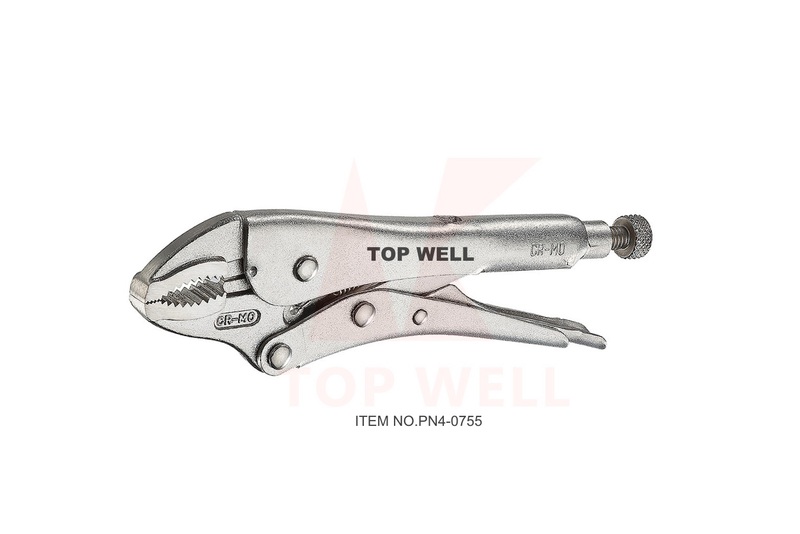 Curved jaw puts tremendous pressure on four points of any style nut or bolt head with convenient wire cutter. 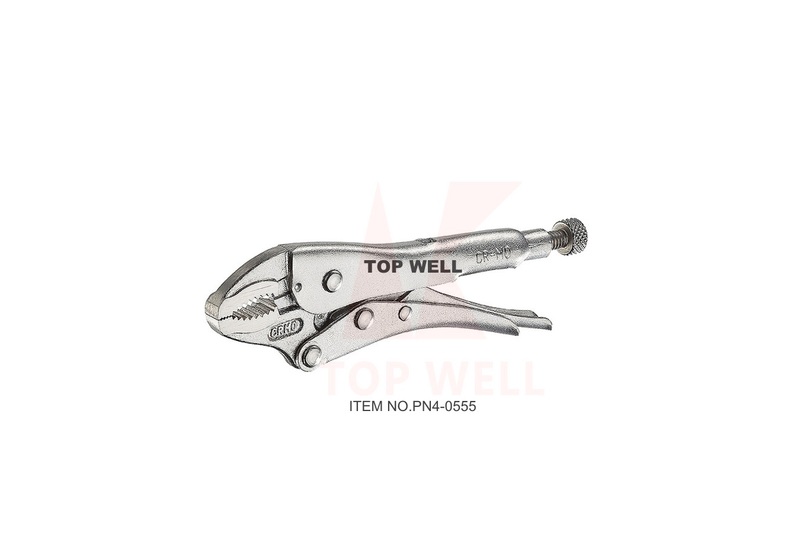 Turn screw to adjust pressure and fit work and stay adjusted for repetitive use. 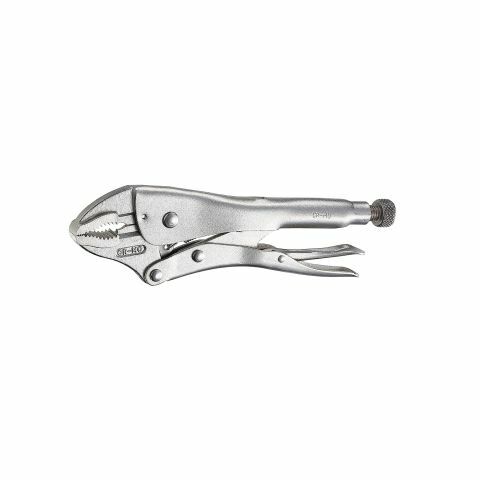 Ideal for tightening, clamping, twisting and turning. 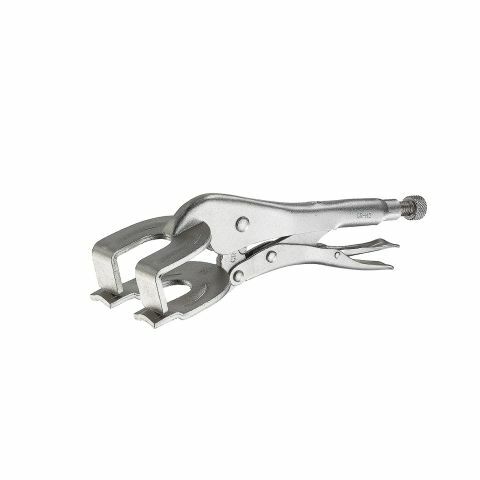 Guarded release trigger quickly unlocks and protects from accidental release.